Consultation services are available for the budget-conscious client that needs design direction. See our SERVICES SECTION for a list of services. Ideally, I am brought in well before the contractors begin work. It is best to have a design concept in place in order to know the direction of the project before any work is begun. This allows for many more options! In some instances I have been contacted after the contractors have already begun work. While it can be done, it puts a lot of pressure on me and the homeowners to make quick decisions to catch up or stay ahead of the contractors. Choices are often limited to what is “on the shelf” because we just don’t have time to wait on orders. Again, having a design concept in place beforehand allows for a more personalized design plan. 1. CONSULTATION – In the case of existing structures, I meet with the client at their home to see the spaces to be redesigned. Through discussions with the client, I determine the functions of the spaces; review goals and objectives for the space; determine style, desires and preferences; list furniture and other items that are to remain in the space; and discuss budget. 2. BASIC PREPARATION – If the client feels they want me to move forward with the project, I take exacting measurements of the spaces and indicate locations of electrical, HVAC, cable, etc. for consideration for the new design plan. Photos are taken of the rooms and any furniture/items to remain in the space. Once the client has determined that they want to secure my services, a letter of agreement is issued outlining the scope of the work to be done and design fees. Upon a signed copy being returned to me, work will begin. This phase is multi-faceted and incorporates many aspects. The creative process begins, the true design of the spaces is established, and design expertise comes into play. DRAWINGS – Working drawings are composed for each room to enable me to use for reference for various aspects throughout the job. 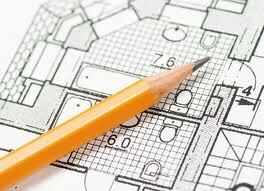 SPACE PLANNING – I determine a functional and balanced furniture and room plan that optimizes the use of the space. ARCHITECTURAL CONSIDERATIONS – The way we use our home often changes with time. I may make recommendations to alter a space or add details in order to bring more interest, beauty and function to a space. LIGHTING CONSIDERATIONS – Lighting is reviewed to determine if it is adequate for the needs, function, mood and ambiance of the space. FURNITURE AND FINISH SELECTION – Key furniture pieces are selected; color schemes chosen; window treatments and fabrics recommended; and flooring, tiles, counter tops and other finishes are determined. ARTWORK/ACCESSORIES – No space is complete without the things that truly bring it all together. Artwork and Accessories are key in giving the room its style, mood, aesthetic value and overall beauty. PRODUCT RESEARCH – Product research takes place during the entire process of the selection of pieces. Warranties, wear, application considerations, availability, time lines, cost and much more are researched as needed for the feasibility of the use of products. 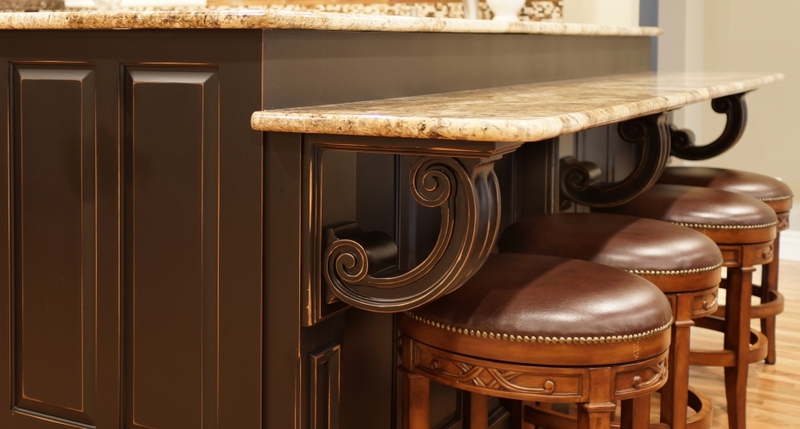 CUSTOM DESIGN – Depending on the space, I may have a design solution that requires a custom piece. I will provide drawings to the clients and specialists to illustrate the desired item. Note: Mood, balance, style, flow, function and aesthetic value is closely considered when making all selections. Every effort is made to specify the best quality furniture and finishes while still meeting the client’s budget requirements. Feasibility of budget with the client’s expectations and desires is reviewed. The design concept, space plan, furniture, fabrics, finishes, paint selections, recommendations, etc. are presented to the client for approval. Additional presentations may take place throughout the process. I help clients secure a contractor. I work with contractors, electricians, plumbers, mill-workers and other subcontractors from beginning to end to ensure the project is on target and design concepts are being carried out. Every effort is made to produce quality results in a timely manner. Design details are refined and adjusted as needed. Vendors and suppliers are determined. Contractors and other professionals are selected and secured, if necessary. Finishes, fixtures, custom pieces, lighting, fabrics, furniture, etc. (there are tons of details!) are ordered in a timely manner in order to keep the job moving forward. Furniture, custom units, window treatments, accessories and all other items are installed.